LeBron James can’t stay out of the news. 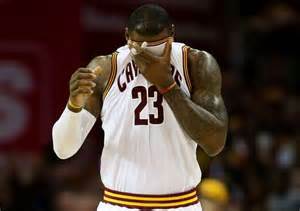 With his team, the Cleveland Cavaliers, locked into the playoffs with their eyes firmly set on bringing the first Championship to the city of Cleveland in half a century, Lebron has found a way to make the story about himself, as he begins to plan his next “Super Team” with his buddies. James was drafted by the Cleveland Cavilers in 2003, and after many unsuccessfully attempts to capture a ring in his home town he, very publicly, “took his talents” to South Beach to form his first “Super Team”. It was this “Decision” that many criticized and hated him for. Not only had he made a spectacle out of leaving his hometown team (Cleveland, the unluckiest sports city in the world), but then the pomp and circumstance began. He was awarded the keys to the city, took part in the ‘Big 3’ hype-show where he guaranteed he’d win not one, not two, not three championships, etc. all before the season even started. Hindsight shows that was not a smart decision for his public image. In Miami he enjoyed great success, he finally won his ring (two, actually), and after an embarrassing defeat at the hands of the Spurs, LeBron opted to return home; to Cleveland. This move was praised by some, but others like myself thought this was a stunt to make himself more favorable in the public’s eye. Like a middle school girl or the Boston Red Sox, LeBron cares so much about how he is viewed. LeBron wants to be the hero of Ohio and he wants to bring a championship that state desperately needs, however things don’t always go as planned. 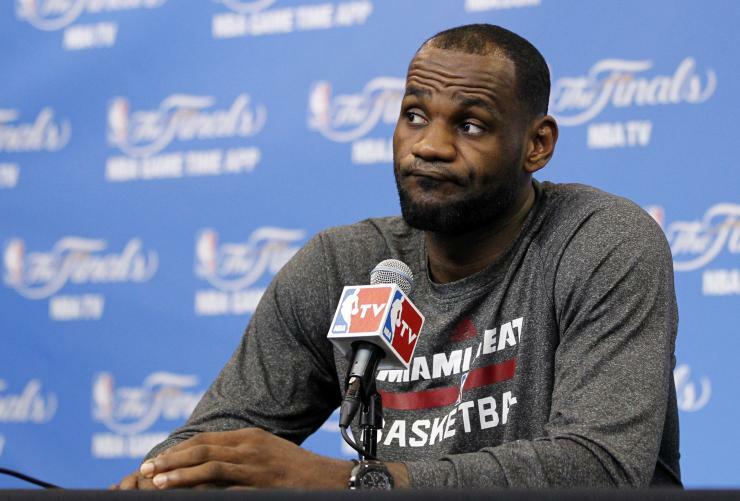 It is in Cleveland that LeBron has complained about players on his team, his coach, etc. and hiis griping has gotten results, whether they be good or bad. Cleveland has bent to his will over and over again as they traded for Kevin Love, fired their coach David Blatt who had done nothing but bring this team to the finals and had them primed for a playoff run again this year, and hired the guy LeBron wanted… a rookie coach who he could control. Now, after all the cards have fallen, the ball is literally in his own court. He got the players he wanted, got the coach he wanted, and now it’s time to win. The pressure is all on LeBron, but it seems he has his excuses in order for when/if he can’t cut it and decides to leave Cleveland. 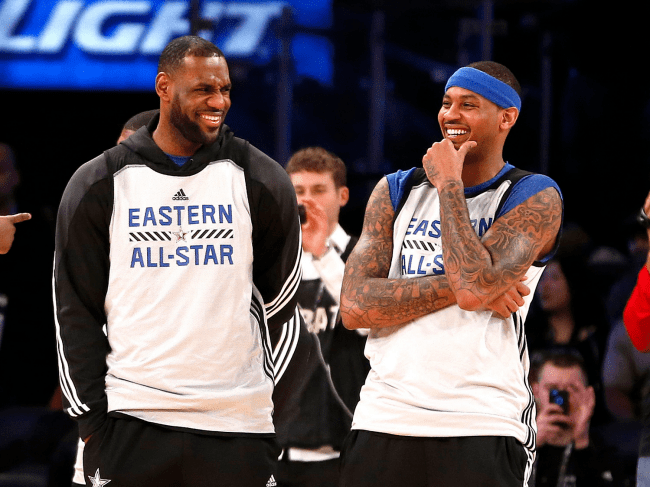 Last week LeBron has come out and said he would love to play with his friends; namely Chris Paul, Carmelo Anthony, and Dwayne Wade. He even went as far as to say he would “take a pay cut” to play with them, all before the current season has finished. Whether you think it’s a coincidence that he says this knowing he can opt out of his contract this season and become a free agent or maybe you’re like me and think that LeBron’s desire to play with his friends is just a built in excuse for if/when the Cavilers get bounced from the playoffs. Sure he could just simply want to play with his friends, and sure he could have been talking about this hypothetically, but with the NBA Playoffs right around the corner, the timing is both troubling and arrogant. LeBron better step up in the next two months to bring home a title, otherwise the idea of him leaving Cleveland for a second time without a ring to play with his buddies will come to define him and his legacy in the sport. Whichever side of this argument you are on, one thing is starting to become perfectly clear: LeBron seems to be a walking, talking excuse maker.